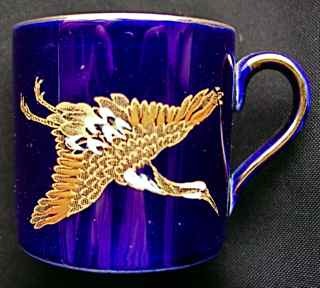 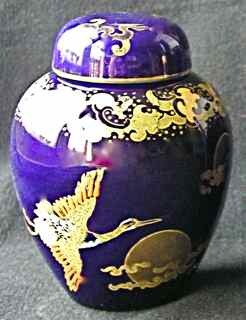 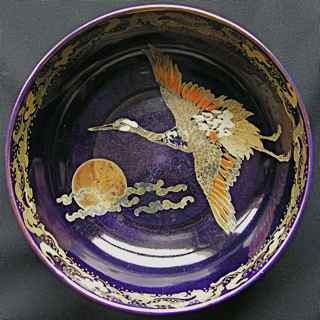 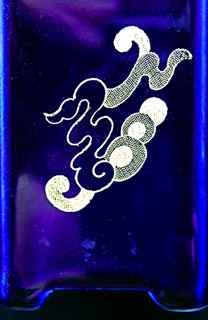 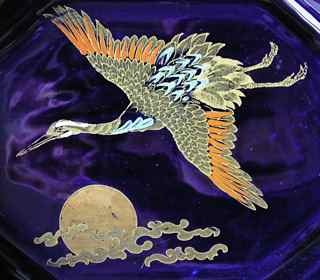 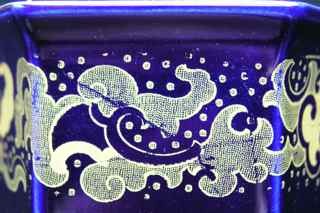 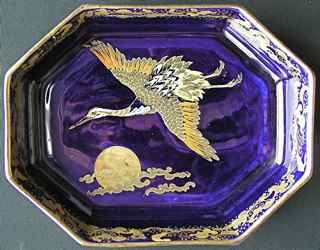 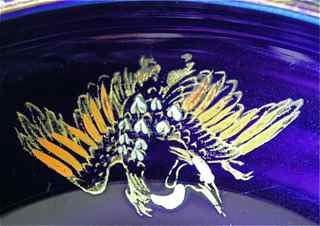 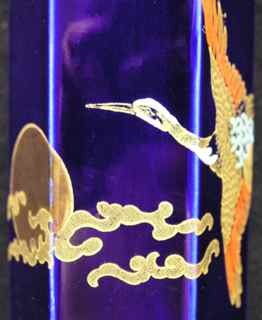 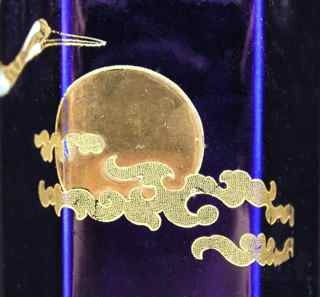 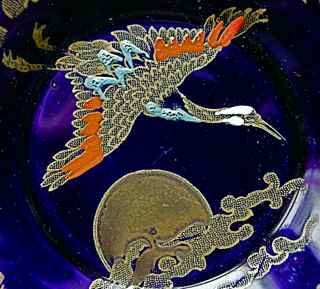 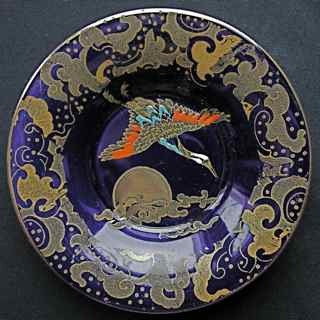 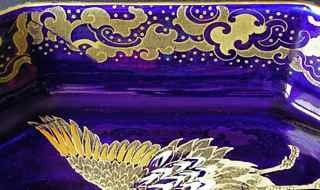 This elegant 1920s pattern shows a stork flying near a shiny golden disc representing the moon, with stylised clouds passing in front. 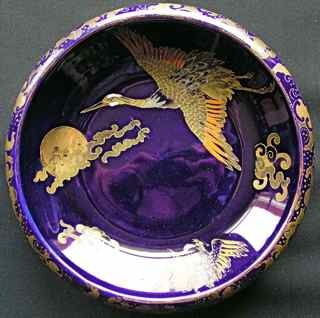 On larger items several birds are present. 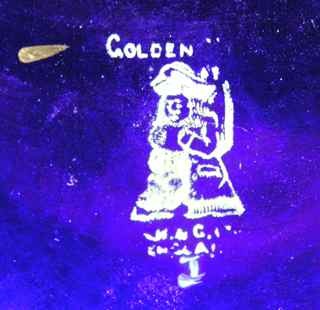 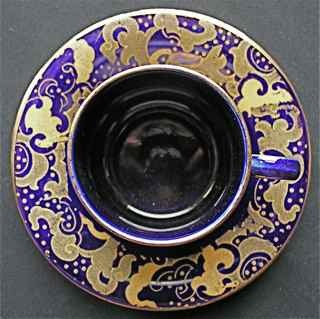 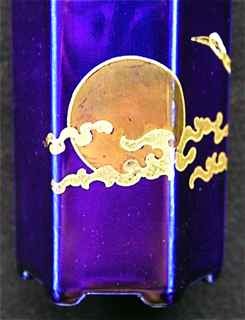 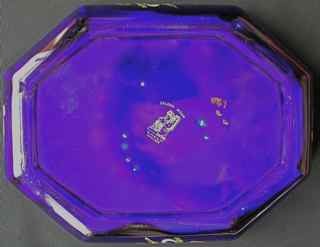 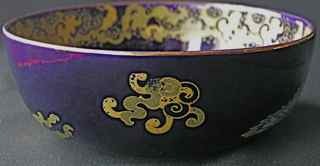 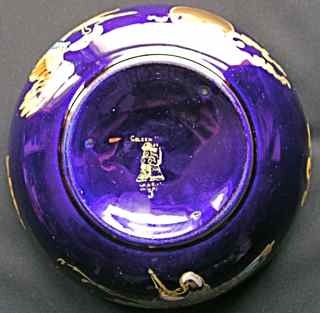 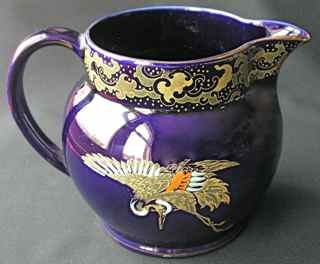 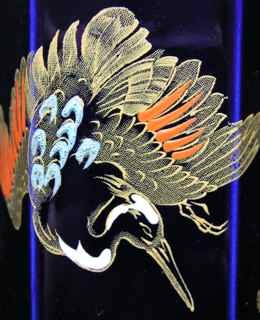 The design features a gold transfer on a deep blue shiny ground. 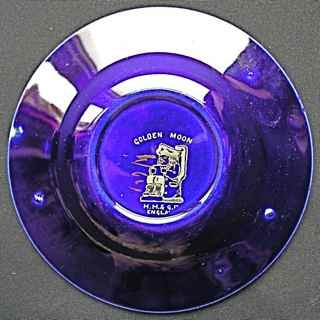 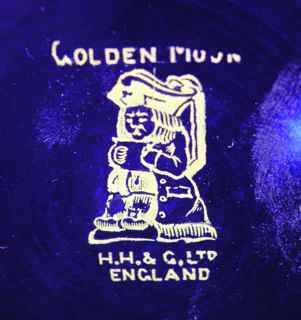 Despite not being mentioned in Bernard Bumpus' book 'Collecting Rhead Pottery', Golden Moon bears all the hallmarks of Frederick Rhead's work, and can be attributed to him without doubt. 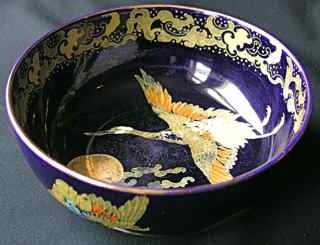 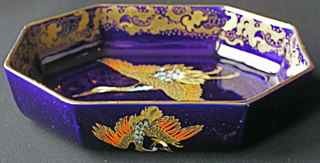 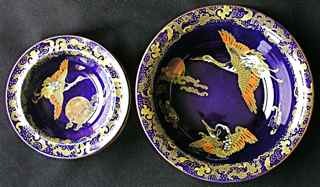 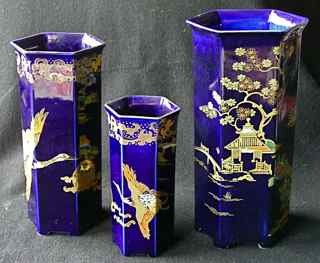 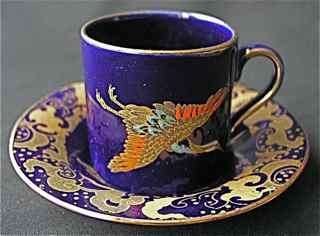 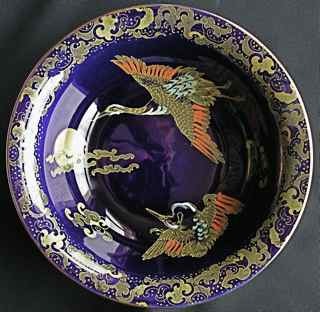 Compare the birds with those found on his Yuan, Orient and Formosa patterns. 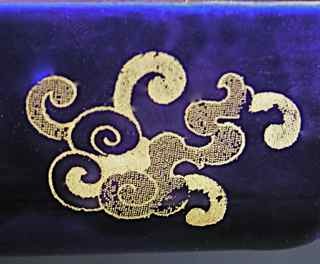 Although the moon and rim banding are in shiny gold leaf, the rest of the pattern and border transfer are in 'old gold', which is similar in colour but less shiny. 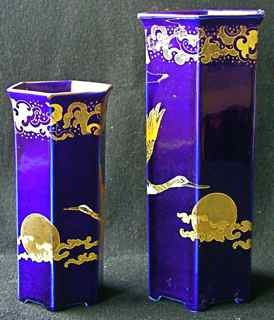 Other Woods patterns that feature an 'old gold' transfer include Mikado, Chinese Royal and Flamingo (also on the same dark blue ground) and Selah (usually on a speckled blue ground). 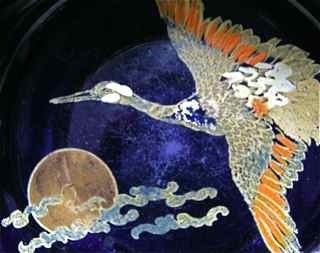 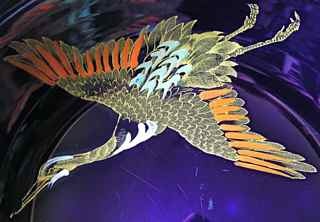 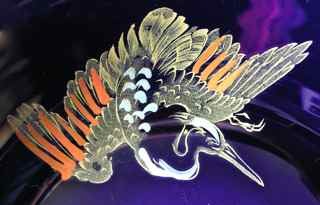 The birds are decorated with hand painted enamels in pale blue, orange and white. 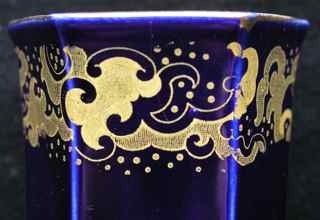 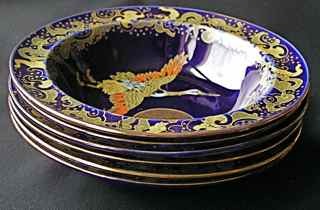 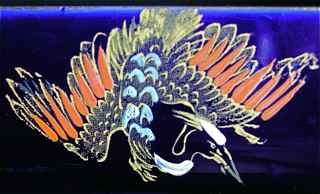 These colours have a raised surface and appear to be tubelined, a skilled process that is a feature of many of both Frederick and Charlotte Rhead's more upmarket designs. 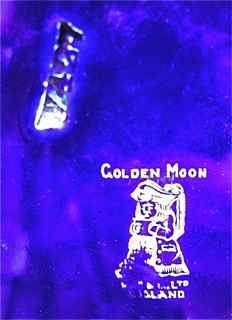 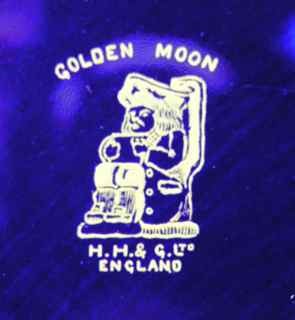 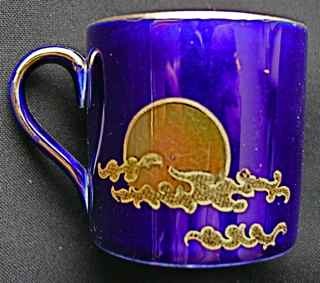 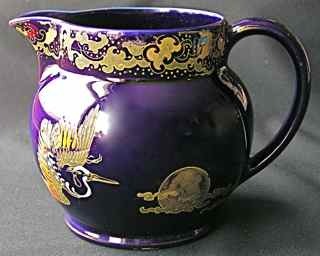 Golden Moon items were marketed by the London china retailers Hales Hancock and Godwin Ltd, c. 1922-27 or later. 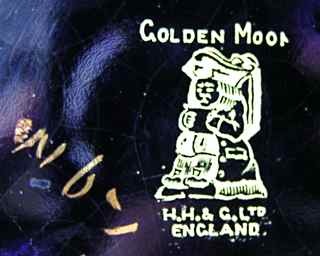 Rather than a Woods mark, items always bear the 'H.H. 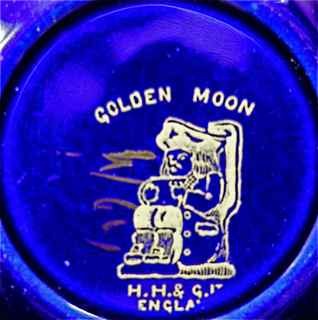 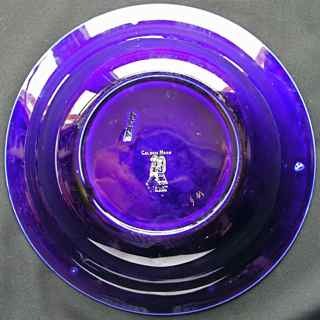 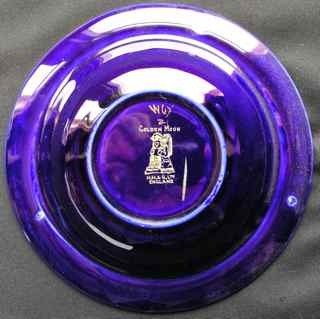 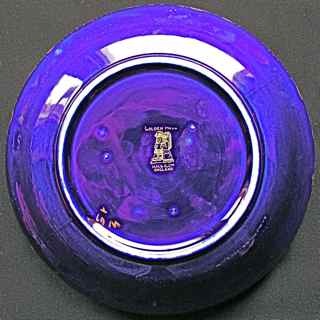 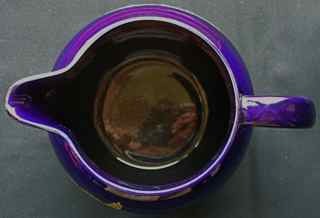 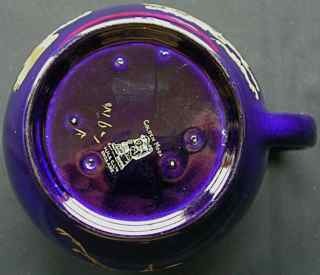 & G. Ltd' backstamp together with their 'Toby Jug' logo.